Relaxing in your own pool in the summer is a great way to escape the heat while also enjoying the outdoors. When you need the best custom pool builder in Dallas TX, you can rely on Summerhill Pools. We’ve been providing Dallas homeowners with high-quality in-ground pools since 1989. We also construct vault or pendent pools for hotels, apartments, and other commercial properties. Over the years, our team of pool experts has designed and constructed pools and their surrounding environments in a variety of styles, and we can help you create the ideal custom pool for your Dallas area property. Contact us today for a quote! When you hire Summerhill Pools to construct your in-ground pool, you can depend on safe and properly completed work. Proper construction allows you to start using your new pool as soon as it’s completed. It also lowers the risk of encountering problems with your newly constructed pool or needing repairs on it. Our team of pool experts has many years of experience constructing sturdy and reliable inground pools for homeowners throughout Dallas and the surrounding areas. Our custom pool construction typically takes up to 10 weeks, although smaller pools are often completed in 8 weeks or less. Our team will let you know the timeline for your new pool construction, so you’ll know what to expect. When you rely on Summerhill Pools, you can rest assured that you’re getting quality construction that’s completed in a timely manner. Summerhill Pools also offers pool construction and renovation for commercial properties. Whether you have a hotel, apartment complex, or indoor facility that you need a pool for, our experts can assist you in designing one that meets local building codes and safety regulations. Our construction team is always up to date on building laws and regulations, so you can rest assured that your new commercial pool is as safe as possible for tenants or guests. We can design a commercial pool based on any concept that you have in mind. If you already have architectural plans for your commercial pool, we are able to incorporate them into your new pool design. During the build process, we’ll let you know what equipment and systems you need to maintain it and keep it safe to use. The cost to install an inground pool at your Dallas home or commercial property varies. There are a number of factors which can affect a custom pool cost, such as the size of the pool, its shape, the features it includes, and the complexity of the construction process. With proper care and maintenance, your pool can help boost your property value while also providing you or your tenants with a convenient place to swim and cool off during the summer months. At Summerhill Pools, we strive to provide you with the custom swimming pool that you want at an affordable cost. Let us know what your budget is, and we’ll discuss the options available to you. We also have pool financing options available, so you don’t have to worry about whether or not you can pay for the whole thing right now. These options help make sure that you don’t have to leave out any features you want due to budgetary constraints. 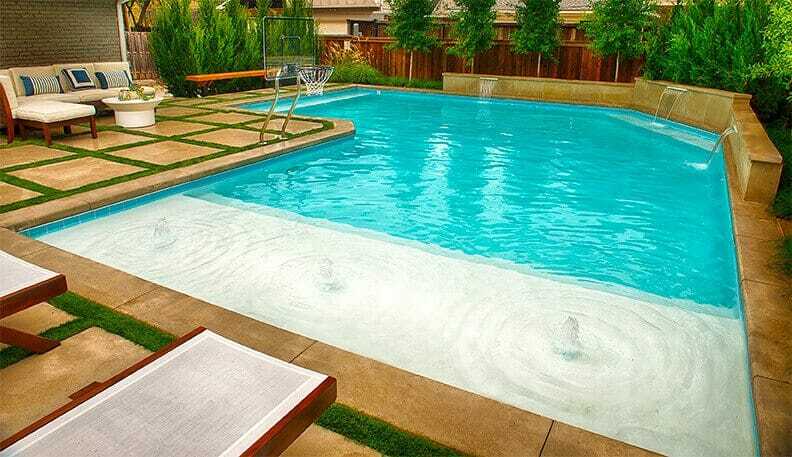 We create your pool design using state of the art 3D modeling software. You’ll be able to see your pool and spa design come to life before your eyes! 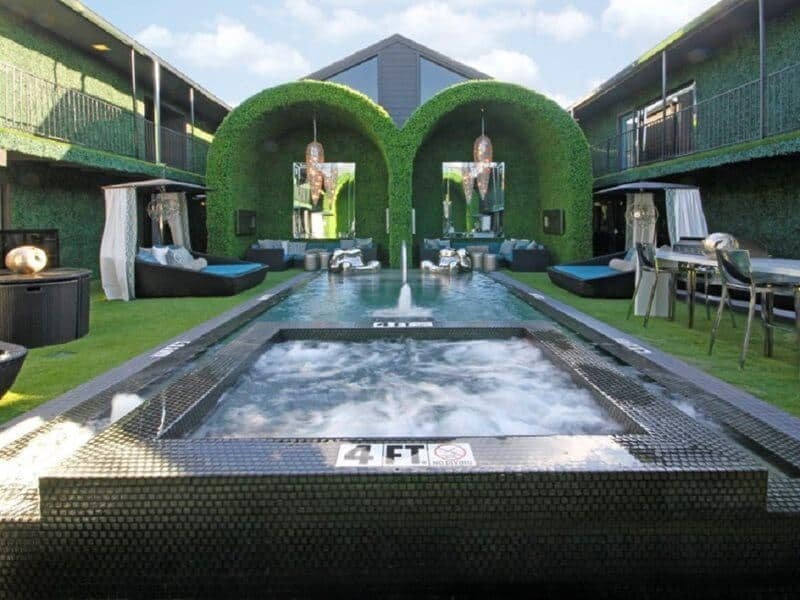 These dynamic 3D designs allow for a powerful presentation for your future dream backyard which can reflect different scenarios or design choices that you may wish to incorporate into it. Hiring Summerhill Pools for the design of your pool can be one of the most important decisions you can make for a backyard project. Our carefully designed plans will lead to a smooth installation and a beautiful backyard oasis for many years to come. A well designed outdoor living area not only enhances the way you look at your home but it can increase the value of your home as well. Contact us today!